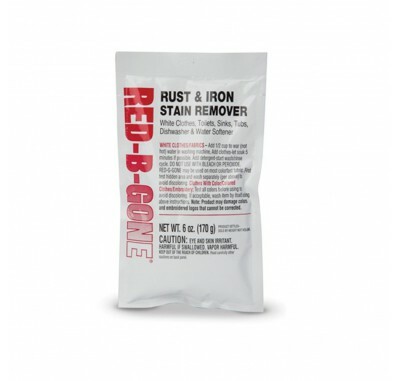 Say goodbye to frustrating iron stains and say hello to Red-B-Gone, the ultimate rust stain remover. 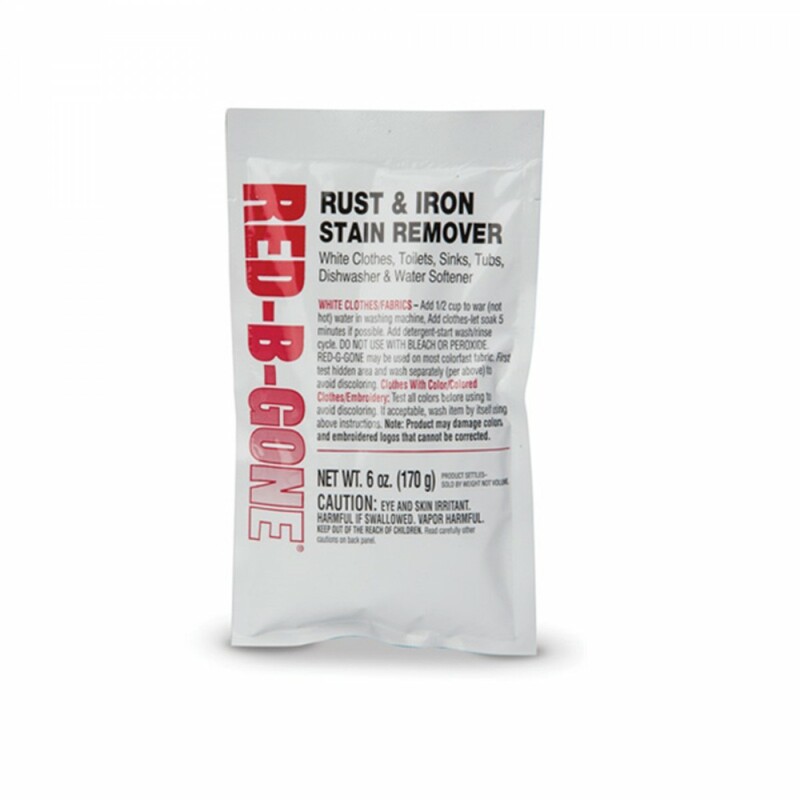 Designed to be safe and easy to use, Red-B-Gone will remove rust stains from your white laundry, glassware, tub & toilet, and even repair your iron-fouled water softener without harmful acids. Made in the USA, the easy storage powder formula mixes with water to make a powerful cleaning solution that will knock out even the toughest rust stain. The Pro Products Red-B-Gone Rust and Iron Stain Remover (6 oz bottle). Safe & Easy to use. Removes rust stains from almost anything. Made in the USA. 6 oz. bottle.